Please Note: Due to high demand, color selection cannot be guaranteed. You will receive either a black or silver unit. – Now comes with FREE GROUND GLASS (HANDS-FREE OPTION) WAND UPGRADE for your vaporizer. 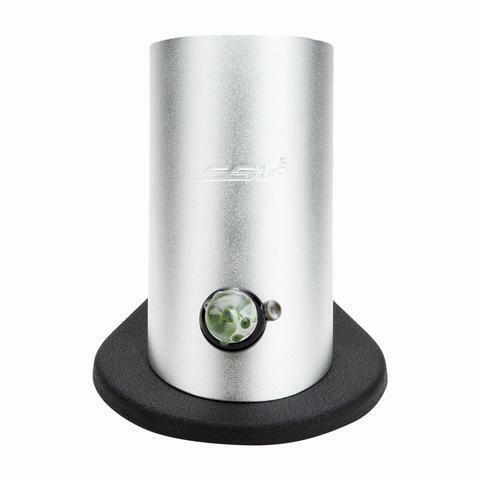 One of the most distinguished leaders of the vaporizer community, the Silver Surfer Vaporizer (SSV) is a stand out performer in the desktop vaping game.This modern, whip-style vaporizer is manufactured in Colorado Springs, United States of America, from high quality materials by manufacturer 7th Floor. The Silver Surfer Vape has many options in order to customize your vaping experience. 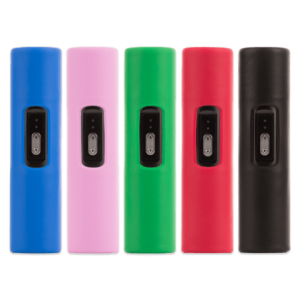 Vapers can select a design from a wide variety of colors and heating cover options. The SSV vaporizer incorporates a modern reverse 90 degree angle design (this helps prevent your aromatherapy blend from falling out of the heating chamber) and the force of gravity to efficiently vaporize all your favorite aromatic blend. SmokeRigs sells the Silver Surfer Vape along with a complimentary hands-free ground glass wand upgrade. The ground glass connection is used in order to allow the user to vaporize hands free. 7th Floor are one of the only manufacturers world wide who hand blows all their glass pieces which ensures only the highest quality components are used and also creating a unique glass piece for every product. There are also numerous DLX editions available ranging from a DLX 14mm Water Tool Bundle to a DLX+ 18mm Water Tool Bundle. The Silver Surfer Vape also comes with a complete 3 Year Manufacturer’s Warranty. The SSV vaporizer features a custom made glass knob and heater cover that feature beautiful design and are completely unique to each piece. The Silver Surfer Vaporizer’s (SSV) heating element is entirely enclosed within a ceramic bowl and removed from the electronics so any form of toxin which often occurs with less expensive metal heating elements will not interfere with your vaping needs. The SSV vaporizer also has an indicator light which can brighten and dim as you adjust to your desired vaporizing temperature. Each Silver Surfer vape unit comes with a Padded Travel Case which makes travelling and using your SSV Vaporizer on the go simplistic and easy. To use the SSV, simply turn the vaporizer on and program the temperature to your desired setting. We would recommend setting the dial at 2 oclock, in order to maximize heating efficiency. While the Silver Surfer vape is heating up, place your finely ground aromatherapy blend material into the end of the wand, which will then be attached to the heater cover. 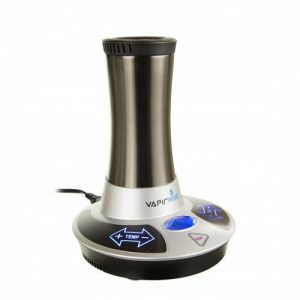 The SSV vaporizer makes use of a ground glass connection which permits hands-free vaporization; this means the user rests the wand on the heating element and then proceeds to inhale at their leisure. The wand and heater cover both fit perfectly on the SSV vaporizer, which helps to create a tight seal allowing no vapor to get lost. The Silver Surfer Vape really is a modern and top of the line device, which offers users a top quality vaping experience. In order to ensure that your SSV vaporizer functions and stays at its optimal level regular cleaning is very much recommended. The stainless steel screens and silicone tubing need to be replaced roughly every 3 months but this will all depend on the frequency of use. 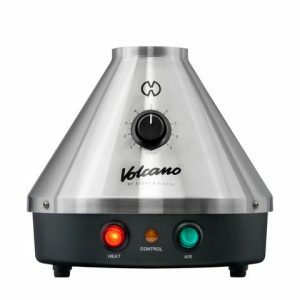 The SSV vaporizer has a unique ceramic heating chamber design allows efficient air flow.